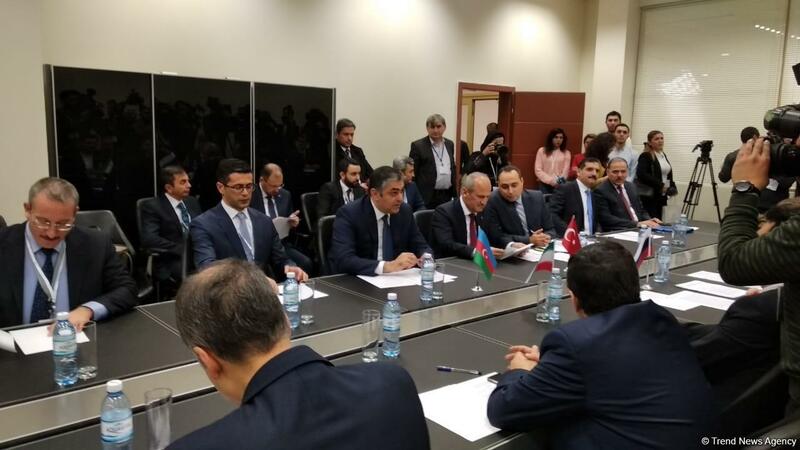 Azerbaijani Ministry of Transport, Communications and High Technologies, Russian Ministry of Digital Development, Communications and Mass Media, Turkish Ministry of Transport and Infrastructure and Iranian Ministry of Communications and Information Technology have agreed to establish a consortium for further development of information and communication technologies, Azerbaijani Minister of Transport, Communications and High Technologies Ramin Guluzade said. He made the remarks at the opening ceremony of Bakutel 2018, the 24th Azerbaijan International Telecommunications and Information Technologies Exhibition and Conference, in Baku on Dec. 4. Guluzade said that the sides are expected to cooperate in the fields of satellite communication, cyber security, the development of telecommunications infrastructure, etc. "The goal of our meeting is to create good conditions for the development of ICT in our countries,” the minister said. “We have recently discussed this issue with colleagues from Russia, Iran and Turkey. We decided to create a consortium consisting of four countries to develop this sphere together. We should more often hold discussions on these topics as this may rapidly resolve the emerging issues."